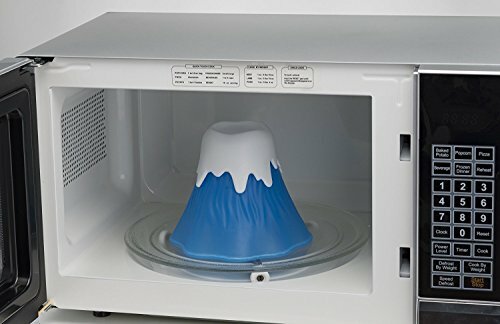 Volcano Microwave Cleaner - Moar Stuff - You don't need it but you know you want it. 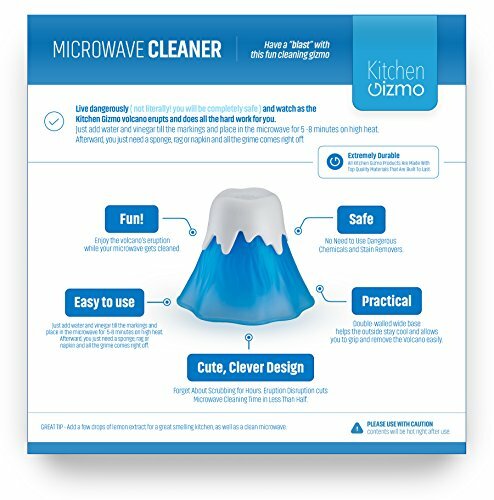 HASSLE FREE CLEANING - Just add water and vinegar till the markings and place in the microwave for 5-8 minutes on high heat. Afterward, you just need a sponge, rag or napkin and all the grime comes right off. 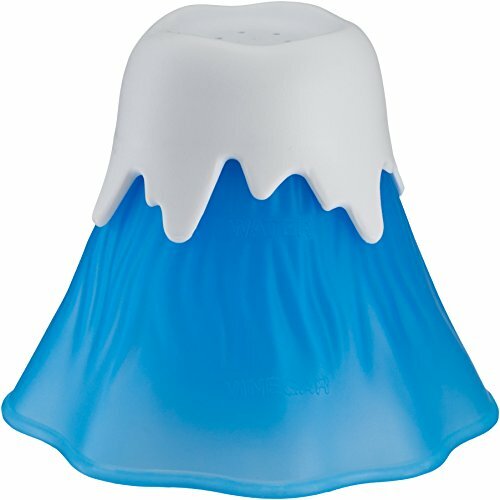 FUN GIFT IDEA - This fun product comes in beautiful packaging with clear instructions, enjoy the volcano's eruption while your microwave gets cleaned. GREAT TIP - Add a few drops of lemon extract for a great smelling kitchen, as well as a clean microwave. 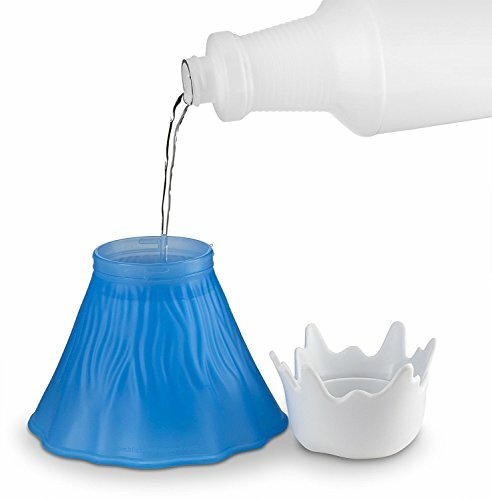 DOUBLE-WALLED WIDE BASE - Helps the outside stay cool and allows you to grip and remove the Volcano easily, just use caution contents will be hot right after use. SAFE and EASY - The product disassembles easily and is dishwasher safe. All our products are "Gizmo" guaranteed for 2 years! As long as they were purchased new on Amazon, we will replace it free of charge. Warranty only valid for defects in materials or craftsmanship, any damages caused by misuse will void the warranty. Go take a look at your microwave. Go on. I’ll wait…… It looks like a hamster exploded in it, doesn’t it? The dirt and grime from the soup splatter and pizza grease is so caked on that it would take a jackhammer or chisel to get off, right? Well, you could live dangerously (not really, you’ll be completely safe) and watch as the Volcano Microwave Cleaner erupts and does all the hard work for you. That’s right, you get your microwave cleaned AND some entertainment at the same time. All you have to do is add water and vinegar till the markings and place in the microwave for 5-8 minutes on high. The microwave volcano will shoot steam from the top vents which will loosen up the crap on the walls and ceiling of your microwave. Afterward, you just need a sponge, rag or napkin and all the grime (and even hamster guts) wipe right off. Oh sure, you could just put the vinegar and water in a cup and get the same result but, judging from the amount of crap in your microwave, that hasn’t happened. 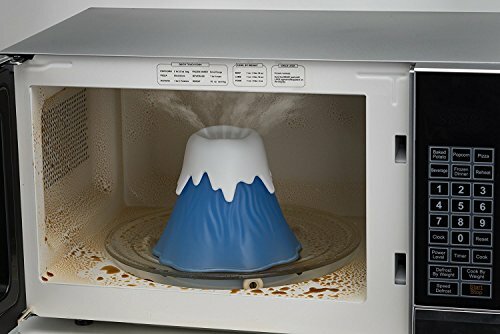 So, you might as well get this cool Volcano Microwave Cleaner so you’ll remember to do it, right? Oh, and it goes without saying this would make a cute apartment or house warming gift. Dimensions: 5.7 x 5.7 x 5.3 inches. Care Instructions: Wash with soapy water and rinse or just place it in your dishwasher’s top rack. No scrubbing and no noxious chemicals. It uses only vinegar and water.